Some actors might begin to play it safe after more than three decades in the business, but not Juliette Binoche. What brings one of the most acclaimed French actresses in the world to a Hollywood blockbuster? It’s a question that’s hard to avoid when thinking about Juliette Binoche. The Oscar winner has been a muse for Olivier Assayas, Abbas Kiarostami and Michael Haneke. She’s worked with Jean-Luc Godard, Leos Carax and Krzysztof Kieślowski. And yet, rather strangely, she has popped up in American tentpoles like “Godzilla” and “Ghost in the Shell” in recent years. If you think Hollywood money is the draw, then you simply don’t know Binoche. The actress could’ve gone blockbuster 24 years ago when Steven Spielberg pursued her for “Jurassic Park.” She turned him down to work with Kieślowski on “Three Colours: Blue.” Spielberg would cast Laura Dern. Binoche would win the César Award for Best Actress. Denying a heavyweight like Spielberg in 1993 was a risky move that paid off, and it’s become clear Binoche has refused to play it safe in the decades since. 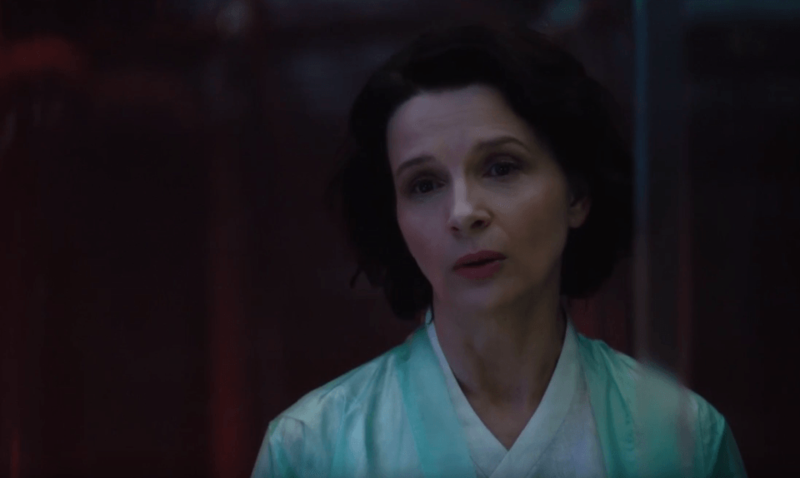 With “Ghost in the Shell,” for example, Hollywood had nothing to do with bringing Binoche on board. It was director Rupert Sanders, who wanted an actress strong enough to give his CGI-driven spectacle a sense of humanity. The character, Dr. Ouelet, has a complex surrogate mother-daughter relationship with Scarlett Johansson’s cyborg, and it’s in playing with the dynamic Sanders envisioned that Binoche gained interest. Bruno Dumont has another reason for why Binoche’s decision making is a constant surprise. The French filmmaker has worked with her twice — first on “Camille Claudel 1915” and now the surrealist “Slack Bay,” currently in limited release — and he has found that she is enticed by new experiences. It’s not the size of the role or the industry she’s working in, it’s the chance to push herself in a new direction. 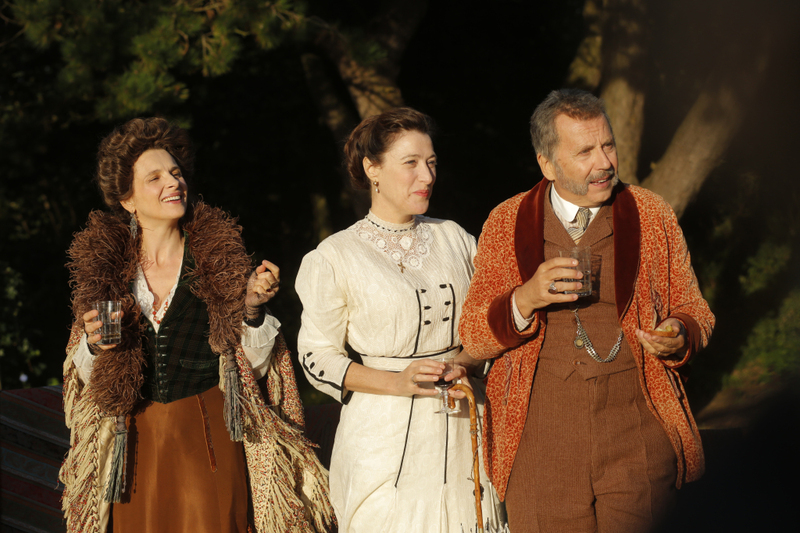 “Pushing herself further” is exactly what Binoche is up to in “Slack Bay,” Dumont’s madcap comedy that mixes the surrealism of Buñuel with the slapstick of Laurel and Hardy. If you thought the sight of Binoche in a Hollywood blockbuster was surprising, just wait until you see her grand introduction as Aude Van Peteghem, an eccentric member of an affluent family with many an unusual secret. Speaking with a high-pitched squeal, Binoche feels like she’s been dropped in from a flamboyant comedic opera. For audiences who have grown accustomed to the actress’ introspective character work, “Slack Bay” might be the most radical they’ve ever seen her. Binoche is rarely considered a comedic actress, but going beyond her safe space is essential. The role also checked off Binoche’s guiding principle that the director is everything. The comedy of “Slack Bay” was a major departure for Dumont as well, and the two didn’t see eye-to-eye on how to approach it. Dumont openly admits he and Binoche “agree about nothing.” Whereas Dumont was focused on taking the comedy to a “dangerous place,” Binoche was intent on holding on to the drama at the core of her character’s aloofness. At the same time, Binoche’s willingness to take risks on different filmmaking visions seems to be a key ingredient to her ongoing success.